A pamper day is something I really need at the moment. I finished all my exams and the cold that I am having is almost gone. So a nice, relaxing day is just what I need. A while ago I ordered some products from the Zoella Beauty range. A bit of a risk since I could have hated the scent of the products, but I trust Zoe enough to know that her products would smell amazing. 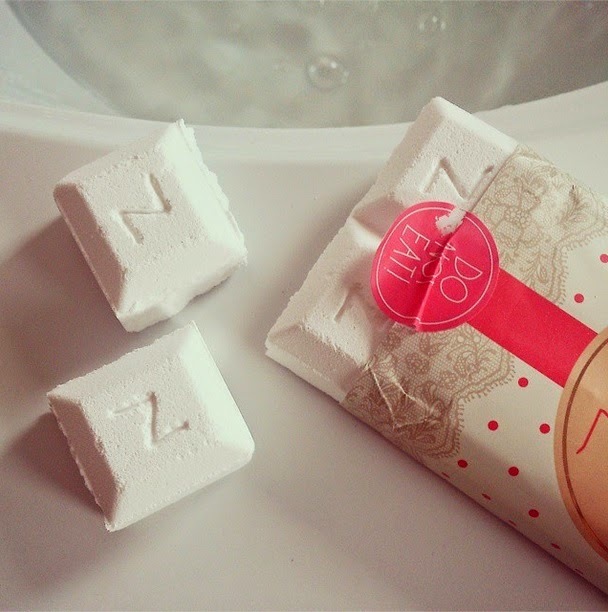 My purchase consists of the Zoella Beauty Fizz Bar and the Zoella Beauty Blissful Mistful. These two products seemed most appealing to me when I looked at the Zoella Beauty range on Feel Unique. I adore the packaging of the entire line. It is sweet, girly and very Zoella. Have you tried anything from Zoella Beauty?